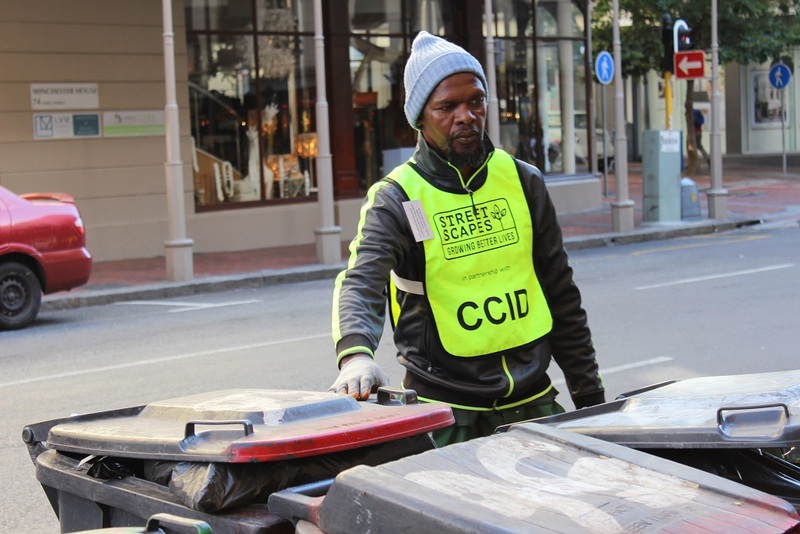 The Cape Town Central City Improvement District’s (CCID) bin project, operated in collaboration with Khulisa Social Solutions, continues to make great strides and has been expanded from Long Street to Loop Street. In December 2017, the CCID’s Urban Management department embarked on a bin project in partnership with Khulisa Social Solutions to micro manage the waste collection process along portions of Long Street (the stretch between Hout and Church streets) in the CBD. Months later, coverage was extended to include the block between Hout and Castle streets. This was done to prevent litter from ending up on the streets when people rummage through bins for recyclable materials in waste collections areas. On a day-to-day basis, Khulisa works throughout Cape Town to provide social services to children, youth and families, with an orientation towards crime reduction, and regularly partners with the CCID within the CBD area. The project has now been expanded to include businesses on Loop Street. And, with the recent expansion, the total of businesses participating overall has increased to 49. During the 2017-18 financial year, Khulisa participants emptied 88 bins weekly and the project provided job opportunities to five streetpeople beneficiaries and a supervisor. These social services include daily sessions with a counsellor, psycho-educational training and assistance towards accessing health services ̶ all of which are services ultimately aimed at assisting participants to move off the streets.